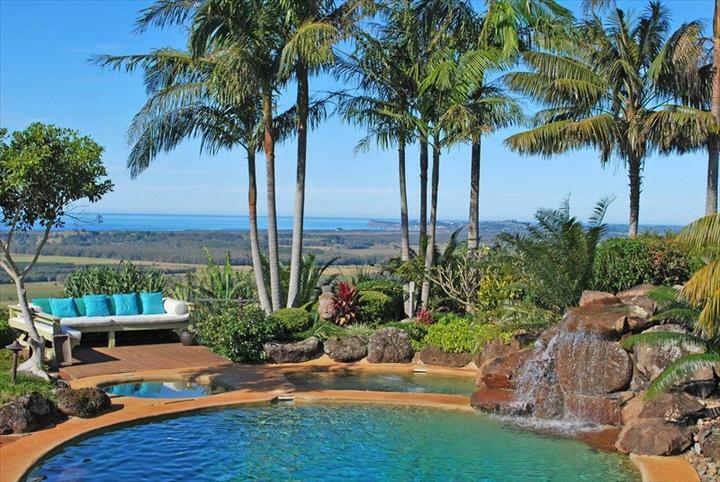 Four Winds Villa's is one of Byron Bay's most exclusive luxury holiday retreats offering complete luxury accommodation and style amidst the peace and tranquility of a magnificent mountaintop location with 360 degree ocean and hinterland views. The luxury accommodation offers supreme peace and privacy across two separate luxury villas. Business Hours: emails are monitored 7 days a week. : Please note that as a small establishment a strict cancellation policy is enforced. No cancellations are accepted– guests are charged for the total of their reserved stay under all circumstances unless sufficient notice as outlined above is given. The policy is outlined on your booking confirmation and confirmed by signing your registration card upon check in.